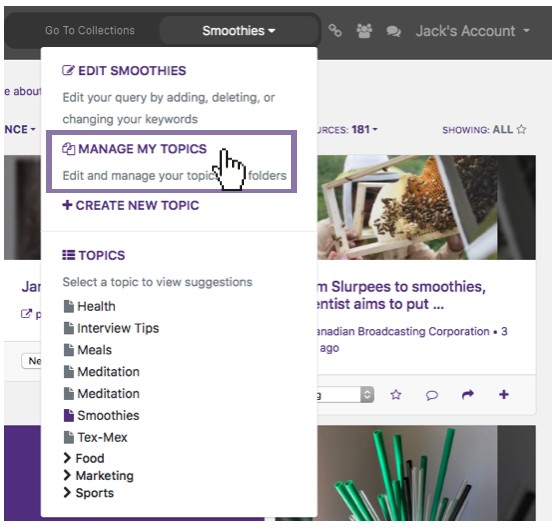 Duplicating Topics is useful for editing topics and sharing them with team members. Learn more inside. 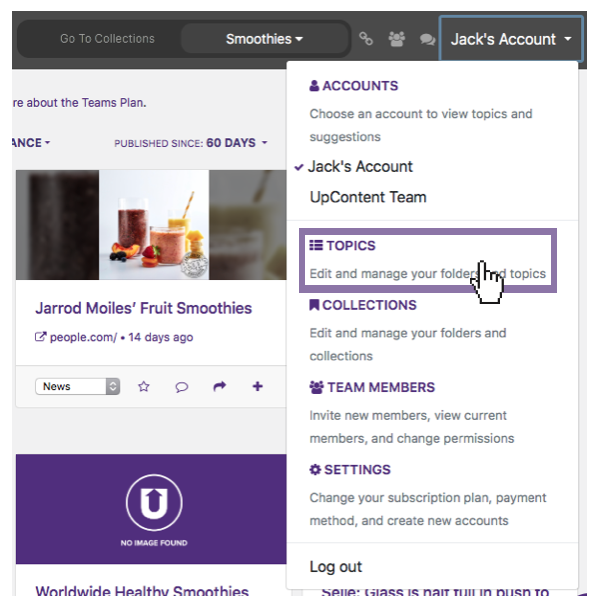 To duplicate a topic, begin by accessing the topic management screen by either clicking on "manage" from the side-bar on the left on the screen, from the topic drop-down from the main navigation bar at the top of the screen, or from the account drop-down at the top-right of the screen. 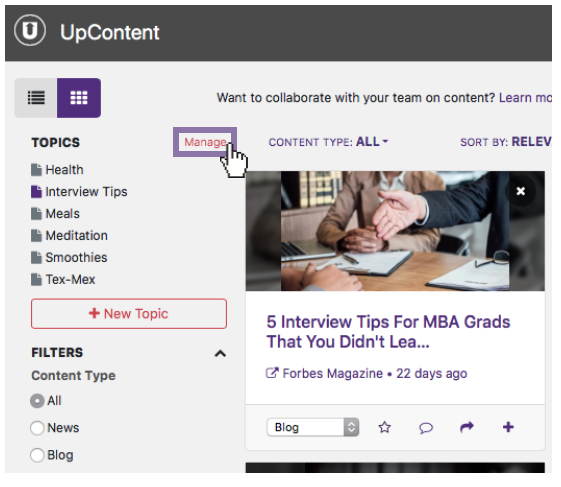 Then, hover your mouse over the appropriate topic and click "Duplicate". You will then have the opportunity to review/edit the criteria of this topic, as well as change the name if desired. The default name will be "Original Name - Copy". Click "Create Topic" to complete the process. You wish to create a second, similar topic yet don't want to edit the criteria of your original topic. You wish to put this topic into a folder for a teammate to take action on (favoriting suggestions, editing criteria, etc) but want to keep the original to yourself. 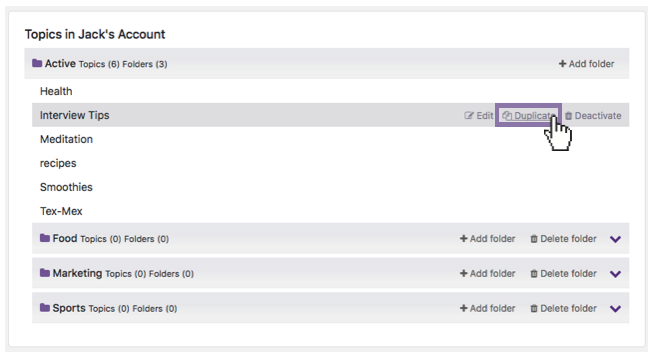 You want to assign different filtering options to different copies of the same topic.